Trellis columns will distinguish your landscaping with style and stature. 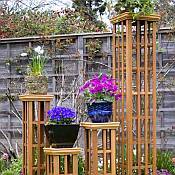 The Arboria Trellis Column serves perfectly as a trellis for climbing plants, as a pedestal for display or as a decorative plant stand. 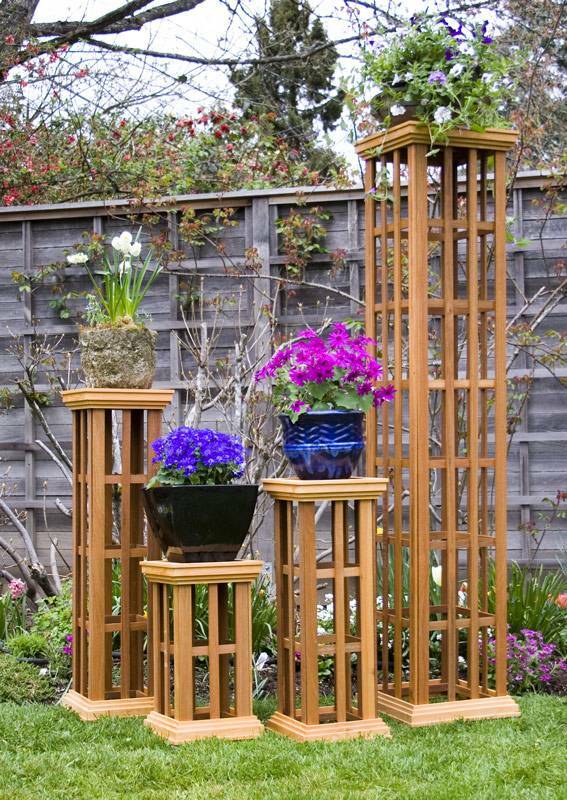 The Trellis Column performs in concert with your indoor décor equally as well as it does outdoors. 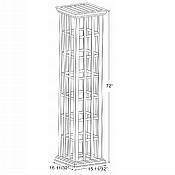 Coordinate multiple , different sized columns for a complete ensemble; 20, 30, 40 and 72 inch heights are available. 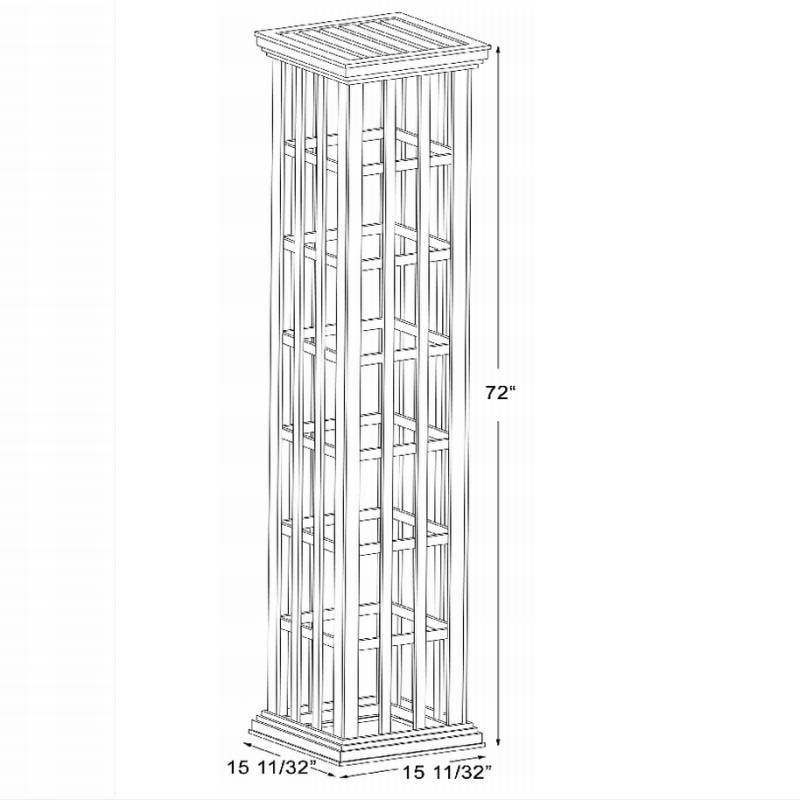 All columns feature a rich Mahogany hardwood tower and sturdy Douglas corbel and base. Arboria structures are neatly packaged for convenient transportation and designed for easy assembly. The products can be assembled quickly following the comprehensive, step-by-step instructions. Many parts are pre-assembled, and are easily fitted together using pre-drilled pilot holes. All assembly and installation hardware, including concrete anchors for the arbors, is provided. Recommendations regarding finishing options are also included. The assembly of Arboria products is an ideal project to embolden the not-so-handy and impress the skilled craftsman. Please click here for an Instruction Manual. Pre-finished for added protection (may be painted if desired). Corbel and Base constructed of Douglas Fir which is a domestic wood with superior durability and resistance to decay.